I am so excited to report, Amy Lane has chosen something a bit different for her newest release. After the Candy Trilogy which were three sweet romances, and the deeply tough entry she brought Selfie to the multi authored Bluewater Bay series; Fish Out of Water is a gritty tough story of murder, secrets with bad guys vs good guys. Jackson Rivers, once a local police officer, wanted to make a difference. Growing up in neighborhoods with drugs and crime, distrusting the men in blue, he wanted to be the cop who people could trust. That was eight years ago. After saving and working hard through the police academy, after leaving home at 16 from a druggy mother, all he had was his adopted family Kaden and Jade Cameron; the three had each other’s backs all through school. We learn the cost of Jacksons going to IA reporting his partner was dirty. The system hates a cop who rats out a brother even if it is true. It took almost a year in the hospital and therapy and pain to recover from the attempt on his life by a sniper. Now eight years later Jackson works as a Private Investigator for a law firm that also employees Ellery Cramer. Ellery, originally from Boston’s wealth, well dressed, driving a Lexus…..silver spoon has been watching and yearning for Jackson Rivers for years…. So when Kaden is arrested for killing a cop in his own Mini Mart, Jackson needs a lawyer to help prove the case they have against Kaden is bogus. 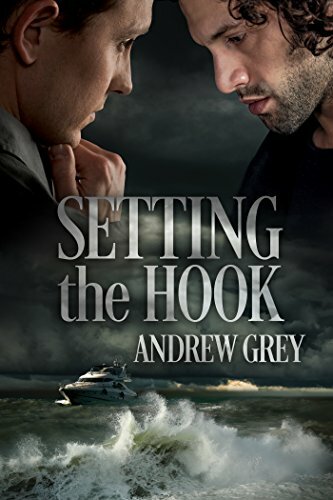 He brings Ellery to the police station hoping Ellery would take the case to make a bigger name for himself, not expecting the tough lawyer he also has been watching for years make it personal as well. Ms. Lane, I could not put this book down. There was no way to stop once I started. The death, the blood, the bullets haunted me. The only salvation was these two, who have watched each other for years, get to learn if there can be “a them”. I loved the fact that each man respected each other’s knowledge and they worked together seamlessly. The angst was cushioned with humor as both had their own baggage. I could see more books for these two…we need them to ‘clean up’ more dirty cops and of course get the missing link…the one that got away… Owen. More stories for Jackson and Ellery would be a treat….Hope that is in your bag of future tricks….Again 5 Stars. Both men are soon enmeshed in the mystery of who killed the cop in the mini-mart, and engaged in a race against time to clear Kaden’s name. But when the mystery is solved and the bullets stop flying, they’ll have to deal with their personal complications and an attraction that spiraled out of control.